These cookies remind me of my grandmother. Those days there weren’t too many ready made snacks available in the stores. There wasn’t too much variety in biscuits too. She would get atta biscuits made in a local bakery. 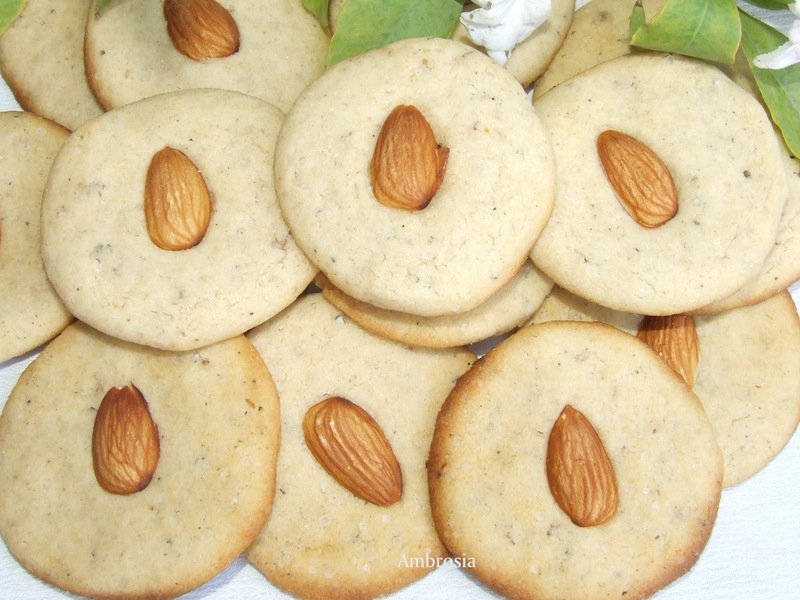 She would give them atta, butter, sugar and cardamom and collect the biscuits next day. The biscuits were made in a clay oven. They had a nice aroma of cardamom and butter. These biscuits were for the ever hungry kids and for the guests and also for tea time. She would store them in a canister and hide the canister. We would always find it and steal the biscuits. Those simple atta biscuits tasted so good. Sometimes when we are forced to buy full cream milk from the market due to non availability of toned milk, I boil the milk and keep it in refrigerator. Next morning the cream (malai) is collected from the top and then the milk is used. Yesterday, I made atta cookies with the cream for kids and they loved the cookies. 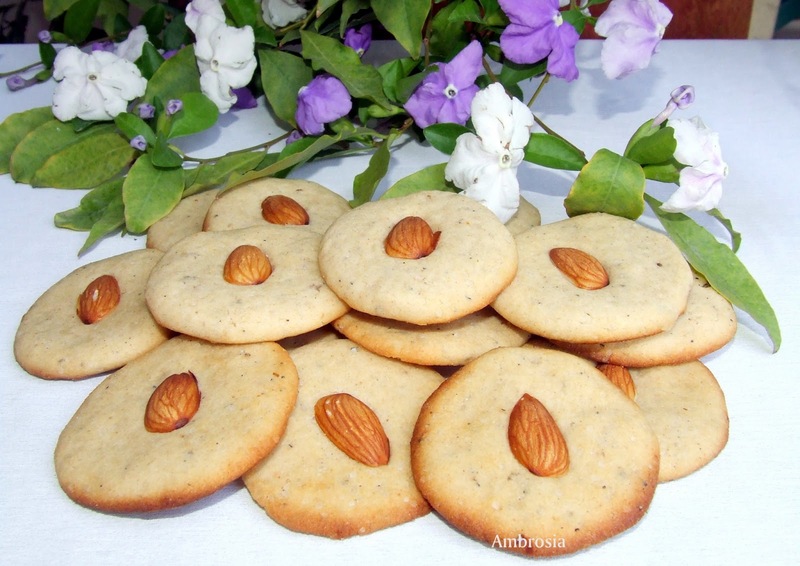 With a lovely aroma of cardamom, these crisp cookies are worth giving a try! Powder the seeds of the cardamom and mix to cream sugar mixture. Add atta. Mix with hands to get soft dough. To make cookies, take a marble size ball of the dough and press it between palms. Place a half almond and press it. Arrange on a greased baking tray keeping some gap between cookies. Bake for 10 minutes or till the cookies turn golden from the edges (it takes 8 to 10 minutes). Store in an air tight container when cookies turn cold. Cookies fragrant not just with cardamom but with grandma's love too! You are right Rajani, there are some things that always connect you to the beautiful past. Atta cookies is one of them for me. Thanks! You just reminded me of the loadfuls of the atta biscuits we would have on summer trips to Nani's house in Punjab!! We would literally finish the entire lot in no time. Will surely try this sometime soon. hi, first time to your space.You have a wondrful blog and yummy recipes.Happy to become member in your blog. hi. if i dont have malai, what can i substitute it with? is it ok to use butter or whipped cream? Hello, If you do not have malai, butter would be a better option. Can I use whipping cream instead? Thank you.